this recipe serves two very hungry people. 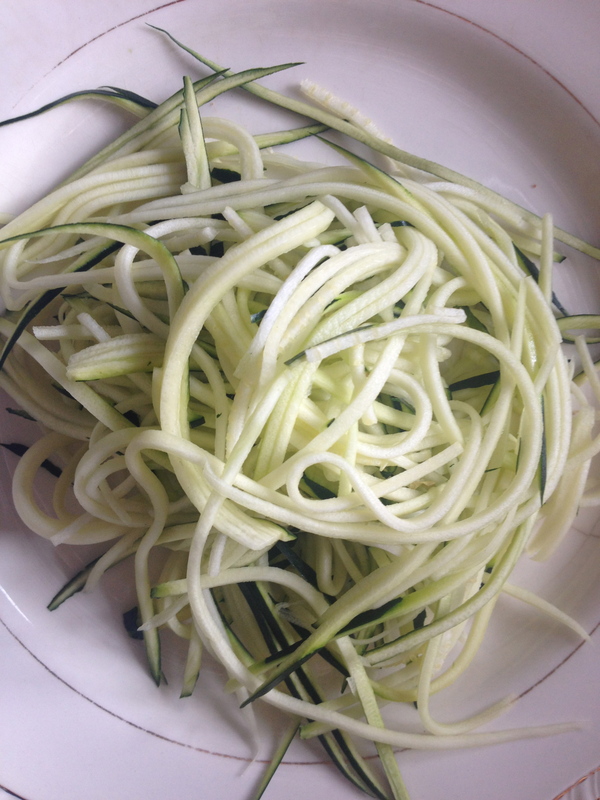 to make zucchini noodles, just take a medium sized zucchini and using a mandolin on the matchstick size cutter, run the zucchini through the slicer lengthwise so you have long noodly strips. if you have a spiralizer you are laughing and you probably don’t need me to tell you how to do this. if you have none of these gadgets finely slice the zucchini in long strips as best you can. i would recommend cutting it in half lengthwise and dealing with one half a time. THAT’S IT, YOU’VE GOT NOODLES. no cooking no nothing. pat tofu dry and heat oil in a large skillet. fry until golden on all sides. meanwhile in a small bowl, mix soy, vinegar, ginger and sesame oil. add the hot tofu when done and stir to coat. cover and put aside. in the same pan sauté mushrooms until browned, adding more oil if necessary. remove from pan and add the kale and broccoli, keeping them separate. add a few tbsp of water, put a lid on the pan and turn off the heat. steam until the broccoli if bright green and slightly tender but still has bite. 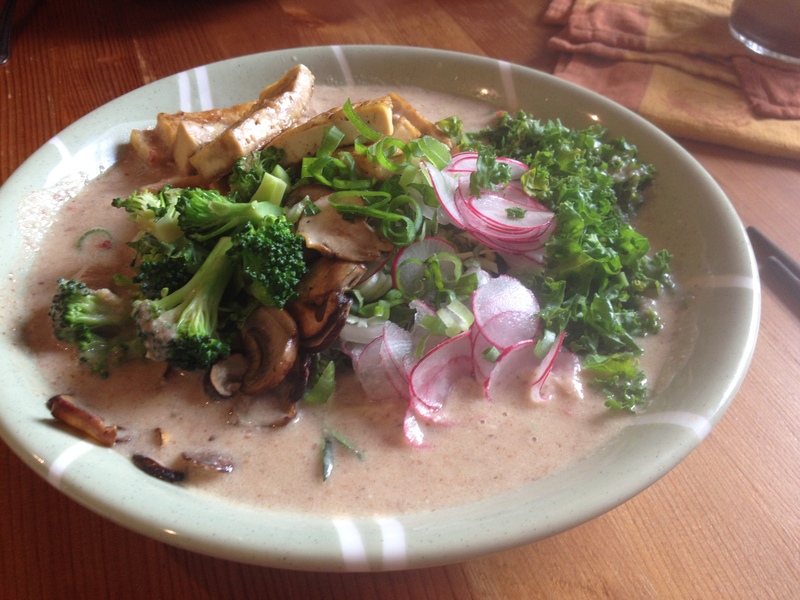 Place a heap of zucchini noodles in each dish and top with tofu, mushrooms, steamed veg, radish, basil and green onion. pour over the almond broth/sauce and eat! put everything in a pot and whisk to combine, heat until slightly thickened.